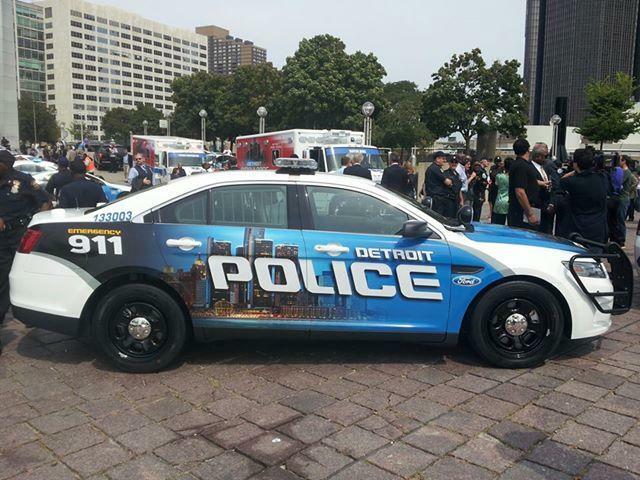 Detroit has a substantial number of brand-new police and EMS vehicles—and they come as a donation from the city’s business community. Some of Detroit’s most prominent business people ponied up $8 million worth of new vehicles to the city through the Downtown Detroit Partnership. One of the biggest donors—automotive retailer and racing magnate Roger Penske. Penske says the group isn’t just funding the 100 new police cruises and 23 ambulances. They’ve formed partnerships with Detroit’s three automakers—who also contributed to the effort, and help provide maintenance. The city’s fleet has been notoriously plagued with chronic maintenance issues and dilapidated equipment. “With the support of the Big 3, and their maintenance capabilities…they will continue to take care of the vehicles. Detroit mayor Dave Bing says this proves the city’s business community is “part of the larger community,” noting these vehicles will primarily service the city’s neighborhoods. Though now largely sidelined by emergency manager Kevyn Orr, Bing has recently touted some success he’s had raising private funds for some city improvements. Along with this donation, Bing has also mounted a campaign to raise private sector campaign up the city’s parks and recreation centers. He said this week that effort has raised $12 million so far. But Bing said he’s leery about asking too much from the business community. When the donation was first announced in March, business leaders indicated they would lease the vehicles for the city. But Penske said they decided to donate them directly instead. Officials said some of the new vehicles will hit the streets as soon as next week. Penske said they all should be in service within the next three months. 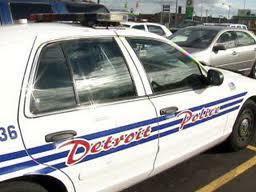 The Detroit Police Department is looking to boost its ranks. The department is holding a recruiting fair for the first time in almost decade at its downtown public safety headquarters Saturday. Police Chief James Craig says when he started the job last month, he found out there was funding to add 60 officers. But there weren’t enough recruits. DETROIT (AP) - A number businesses plan to donate $8 million to help Detroit get 23 EMS units and 100 police cars to boost public safety and reduce response times. Mayor Dave Bing announced the effort Monday along with racing team owner Roger Penske, who leads Penske Automotive Group. “As local business leaders, we appreciate this opportunity to work with the mayor, and police and fire departments, to help improve safety in the neighborhoods, and our downtown," said Penske. Other donors involved include Quicken Loans Inc., General Motors Co., Ford Motor Co., Chrysler Group LLC and Blue Cross Blue Shield of Michigan. Mayor Bing calls this an “unprecedented collaboration” with the city’s business community. The money will actually go Detroit’s Downtown Development Partnership, which will lease the vehicles for the city and pay for maintenance. But mayor Dave Bing says this isn’t about downtown. Violent crime in Detroit spiked last year. The city recorded 387 criminal homicides. And department cutbacks have slowed response times. Detroiters should see the new police cars on patrol by early summer, but the EMS vehicles will take a little bit longer to arrive. The announcement came on the same day bankruptcy attorney and turnaround specialist Kevyn Orr arrived at Detroit City Hall for his first day on the job as emergency manager. Orr takes over the finances of the largest city in the country to come under state oversight. Bing said the timing of the announcement was a coincidence.